Cats and dogs living together doesn’t have to be stressful. 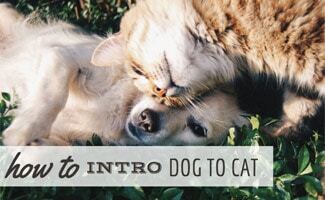 We’ll teach you the best way to introduce a dog to a cat, so all parties are happy. No need for hissing, barking or growling — your pets can live cohesively in your home. Find out how to get a dog and cat to get along in our article below. If you already have a dog and are thinking of getting a cat, you should try and find a cat that has already been exposed to a dog. (If the situation is opposite, you still want the same exposure.) Most importantly, introduce them to one another before adopting the other new animal, so you know they will get along. Introducing a kitten to a dog can be tricky. Kittens can be hurt quickly, so it’s best to make sure the dog is a little older. That way the dog isn’t roughhousing with the kitten. In the end, you want to be extra cautious when introducing a dog to a kitten since the dog may see the kitten as a toy. Introducing a puppy to a cat is similar to the above. The puppy is most likely a little more rambunctious, so you may want a younger cat that still likes to play. Elderly cats can be hurt easily and typically aren’t as playful. So, getting a dog that is less rambunctious and calmer is a good idea. Ultimately, you know your animals best. Just because puppies are stereotyped as having high-energy doesn’t mean that’s necessarily true in your case. Understand what your pets’ personalities are, so you can make their home life even better. If your dog has a history of being good with cats, you should find some ease in introducing them to a new cat. The same goes for cats. 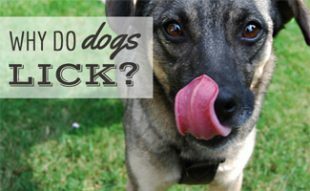 Whichever species you’re adopting, you’ll want to ask the current owner or shelter if they are good with the opposite animal before you adopt them. Adopting a cat who is known for hating dogs is just asking for trouble. When you bring your new animal home, you may want to provide separate living quarters for them at first. For example, if you’re adopting a new cat you may want to put his food, water and litter box all in the same room and close it off so the dog cannot get in. Choose a room that is comfortable, like a bedroom, not a closet or other dark room. This allows your cat time to settle in and start to feel comfortable in his new home. As the animals settle in, they’ll probably take notice of the other. They may hear a meow or loud footstep on the hardwood floors. They will recognize these sounds and notice that there’s another animal in the home. How Do You Introduce a Dog to a Cat? When you introduce a dog and cat, you need to pay attention to both of their body languages. If the dog has a fixated focus on the cat with a stiff body and perhaps barking or whining this may be a warning size. If the cat’s tail is going back and forth and the ears are pinned back, this is an indicator that the cat may be unhappy. These are signs that you should not let the dog and cat near one another. It’s okay for the animals to pay attention to one another, but you don’t want them fixated on the other. Before making contact with one another, give each animal a blanket or towel to lay on. Let them have it for a day or two, so their scent is transferred to it. Then, give it to the other pet, so they can learn the new scent and get used to the smell. Allow the pets to explore the other blanket or towel as they wish, do not force them to do anything. You’ll need to do this every day because the scent will wear off some. Next, you can introduce them through a glass door or window. For example, if you have a glass patio door you could let your dog outside and let your cat in the room where the door enters. Let them approach the door as they please. Again, you do not want to force either one to do anything. If possible, have another person help you, so you can have someone with each animal. Each of you can give treats to the dog and cat near the glass door to show that being around the other is a good thing. Make sure that both animals are staying calm and pay attention to their body language. Is the cat’s back arched? Is the dog barking excessively? These are warning signs that the animals are not ready to meet face to face. Repeat this introduction through the glass until each animal is calm when seeing the other. After your pets have become comfortable with one another through a glass door, you can use a gate or screen door to introduce them. This will allow them to see one another as well as smell the other. Keep in mind that cats can jump over gates and squeeze through small openings, so you’ll want to monitor him. Repeat this and give treats until both animals seem calm around one another. Finally, it’s time for them to meet face to face. Place the dog on a leash and allow both animals to be in the same room. Let the cat wander around and approach the dog if comfortable. (Only allow this if the dog is calm.) Your cat may want to hide the first time or two, which is fine. To discourage your cat from hiding, try treating him within sight of the dog. After repetition, your cat will be more comfortable coming around the dog. Work toward extending your dog’s leash and giving her more room to approach the cat and sniff him. After a few seconds, call your dog back and treat her for respecting the cat and coming when you called her. 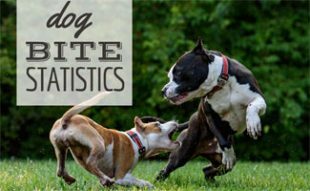 Progress toward allowing your dog off leash and supervising all interactions with your dog and cat until a month has passed with no bad interactions. Even though these pet parents may not have followed these steps above, it’s still cute to see these dogs meeting kittens for the first time. If either is showing tense body language, give them a break and take them to separate rooms. You don’t want to force either into a situation that could get one of them hurt. You want to set your pets up for success. Until the animals seem relaxed around one another, you should not let them loose at the same time. If the dog gets aggressive toward the cat and chases, pins or picks up the cat you need to proceed with caution. If your dog is showing aggression towards your cat, you are not helpless. Find out how to stop dog aggression towards cat. 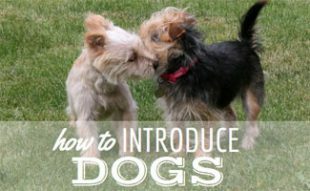 Need to know how to introduce your dog to other dogs or even newborns? Read our articles to make sure nobody gets injured and all relationships start on the right paw. Do you have a dog and cat under the same roof? How do they get along? I rescued Ms Callie,a Lab, then about 6 yrs old to join my 2 cats. Dog, is primarily an outdoor pet & totally ignores the 2 cats “when in the house”. Outside is totally different; dog chases anything that move, kills birds, insects etc. One cat now refuses to step outside & the other cat is allowed outside only @ night once the dog is secured in the garage for the night. The few times they have both been outside, the cat must flee up a tree to escape. I welcome any suggestions as to how to train the dog to overcome her need to chase this cat only when outside. It has become a chore to ensure the cat’s safety plus one mistake on my part could be treacherous for the cat. I live w/my daughter, because I’m disabled and she had 2 female pit bull’s,that I adored. We have never had a problem introducing a new cat or kitten to either one. Laya and Lady grew up w/Mia, who was a feral kitten,who decided that she didn’t like the cold snow and ran into the house, the minute she opened the door and stayed. When I moved in, I had my cat’s , Yeti and Molly, whom Laya and Lady loved, but Yeti and Molly tolerated them w/no real problems. When Maddie showed up 1 day and decided to move in w/us, again Laya and Lady just accepted him and they became buddies. Laya and Lady became quite upset when Yeti and then Molly passed away and so was I. Tracey went up to the corner store 1 cold fall night and there was a kitten,about 8 weeks old, running from one person to the next,when she saw my daughter, she not only ran up to her, she ended up following her home. We named her Calli and w/in a couple days, she fit right in w/the whole group. Calli’s a 1 person cat and Tracey’s that person. She follows Tracey around like a puppy and sleeps in bed w/both Tracey and Laya. When Lady passed away, the whole group grieved for almost a month. About that time, I found a baby kitten,about 3-4wks old.I couldn’t just leave her, out in the cold,so I brought her home and cared for this little baby girl. Laya went nuts when she met Holly. She decided to become baby Holly’s protector. Holly turned out to be one bold and fearless little kitten and she took over the whole group. Now.they all play,eat and sleep together. We have been pretty lucky w/all of our dog’s and cat’s getting along. They all know that they are loved and have a great place to live, you can see how content they are, when their all curled up together. I adopted a kitten back in December he was 2 months old. I have 2 small dogs & 15 year old cat, it took about 3 days. I’ve had my 2 male cats for a few years now and when we got a house in 2018 we decided to adopt an adult, female, husky mix from indiana. I work for a shelter in Illinois so I knew the basic protocol for intros. It took a few months but they all get along great now! ♡ the dog and my younger cat even play together! I have had this dog around three months now and my cat still hisses and paws (like punches!) him for no apparent reason. My dog also growls at her. 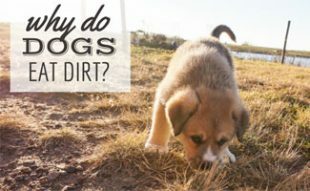 I didn’t know about any of this stuff until I read the article…is there anyone who can advise me on what to do about these two? I had a cat and when my roomate moved in with her dog we had to get rid of the cat because she would never come out from under the bed. She was very territorial and upset that the dog was there and unfortunately the dog won!